Dual M.2 NGFF mSATA SSD to SATA3.0 adapter for Desktop PC. Support msata ssd, sata protocol specification ssd. 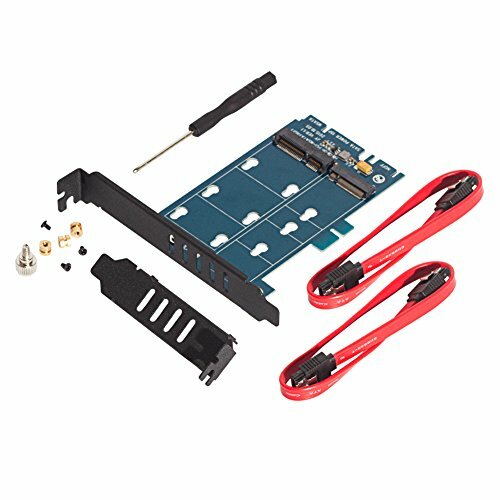 Support ngff m.2 sata ssd with key B including key b+m: 2230 2242 2260 2280.
msata and ngff in the same pcb save space, and share the same set of sata 15pin power supply, reduce the waste of resources. "Immersion Gold" and PCB connected to the connection allows more stable transmission.